WESTFORD, MA. 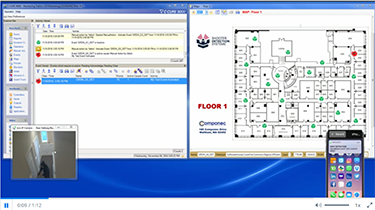 December 5, 2016 –– Tyco Security Products announced that Software House C•CURE 9000, the access-control powerhouse, now integrates with Guardian Indoor Active Shooter Detection System by Shooter Detection Systems, the world leader in gunshot detection technology. best-in-class technologies in security products,” stated Scott McNulty, Senior Product Manager, TSP Connected Partner Program. The powerful combination of C•CURE 9000 and Guardian gunshot detection reduces the margins of human error, ensuring that there are no costly false alerts while enhancing the overall security of any school, business or public venue building.